We’re thrilled to announce our second annual Day of Service will be on Wednesday, May 22nd and once again invite you to join us! 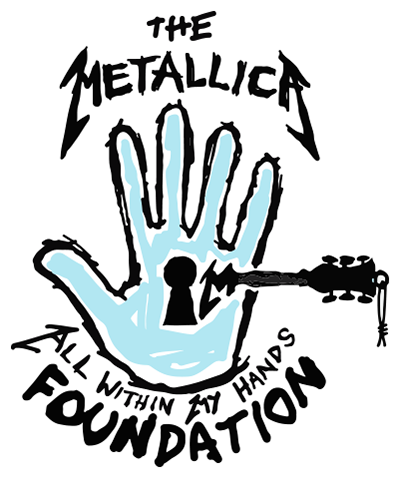 In cooperation with Feeding America, we’ve been proud to make contributions to their local partners in each city Metallica has performed in during the ’17, ’18, and ’19 WorldWired Tour dates. Over 50 of those food banks will be partaking in our Day of Service this year, more than twice as many as last year! Click here to find a participating food bank near you! If you do not live near one of our partner food banks or you are unavailable on this day, we encourage you to visit FeedingAmerica.org to find a food bank in your community. We’re so inspired by the work that all of these amazing people do day in and day out that we hope you’ll join us to give them a hand whenever you can. Last year over 1,000 Metallica fans and AWMH supporters participated in our inaugural Day of Service, volunteering at local food banks in their communities. Thanks to those amazing volunteers, hundreds of thousands of pounds of food was packed and distributed to those in need!